Sen. John Thune: The bill will "help ensure that problems regarding known safety defects are promptly reported to safety regulators." WASHINGTON (Reuters) -- A measure that would offer financial incentives for auto industry employees to expose safety defects won unanimous backing from a U.S. Senate panel today. The vote by 13 Republican and Democratic members of the Senate Commerce, Science and Transportation Committee sends legislation to the floor of the Senate that would allow whistleblowers to share in auto company penalty payments. The measure is the first significant legislation to reach the Senate floor following last year's recall crises stemming from defective General Motors ignition switches and Takata Corp. airbag inflators. An aide to Senate Republican leader Mitch McConnell could not say when a vote might be scheduled. If brought to a vote and approved by the full chamber, the bill would move on to the U.S. House of Representatives for consideration. Under the legislation, employees and contractors for automakers, parts suppliers and car dealerships could receive up to 30 percent of penalties resulting from a federal enforcement action totaling more than $1 million -- if they share original information on product defects or reporting violations with the U.S. Transportation Department or Justice Department. Trade groups representing the auto industry had no immediate comment. Today's vote follows two major recall scandals in the industry that emerged in 2014. GM agreed to pay a $35 million fine last year over its delayed reporting of an ignition-switch problem that has resulted in 57 eligible death claims and 94 eligible injury claims. Last week, the government slapped a $14,000-a-day fine on Takata for failing to fully cooperate with its probe of airbag inflators that have been linked to at least six deaths and dozens of injuries -- and about 25 million vehicle recalls globally since 2008. 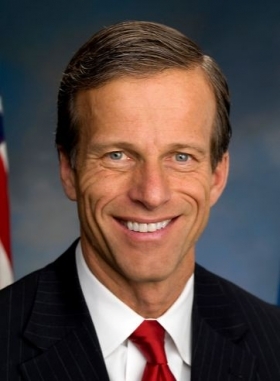 "This legislation will be a powerful tool to help ensure that problems regarding known safety defects are promptly reported to safety regulators," said the committee's Republican chairman, Sen. John Thune, R-S.D. The bill was modeled after existing whistleblower protections that encourage individuals to share information with the Internal Revenue Service and the Securities and Exchange Commission, Senate aides said.